"RISING DOUGH: Most bread recipes call for two risings. Although a time frame is given for each one, it cannot be precise, for how long any rising takes depends on a variety of factors such as the temperature of the room, the amount of yeast used, and even the weather. To test if a dough has risen adequately for the first rising, press 2 fingers into it. If the indentations remain, the dough is ready to be shaped and left to rise a second time. To test its readiness after the second rising, press against it with a fingertip. If an imprint remains and the dough holds its shape, it is time to bake." 1) In a bowl, combine the water and 1/4 cup of the milk. Sprinkle the yeast and the pinch of sugar over the liquid and stir to dissolve. Let stand until foamy, about 10 minutes. 2) In a heavy-duty mixer fitted with the paddle attachment, combine the remaining milk, the butter, the 2 tablespoons sugar, salt, and 2 cups of the flour. Beat on medium-low speed until creamy, about 1 minute. Add the yeast mixture and 1 cup of the flour and beat for 1 minute. Beat in the remaining flour, 1/2 cup at a time, until the dough pulls away from the bowl sides. Switch to the dough hook. Knead on low speed, adding flour 1 tablespoon at a time if the dough sticks, until smooth and elastic, about 5 minutes. 3) Transfer the dough to an oiled deep bowl and turn the dough once to coat it. Cover loosely with plastic wrap and let rise at room temperature until doubled in bulk, about 1 1/2 hours. 4) Lightly grease two 9-by-5-inch loaf pans. Turn the dough out onto a lightly floured board. Divide in half and pat each half into a long rectangle. Fold 1 rectangle like a letter, overlapping the short sides in the middle; press to flatten. Beginning at a narrow end, tightly roll up the dough into a thick log. Roll the log back and forth with your palms until it is the same length as the pan. Pinch the ends and the long seam to seal. Place the loaf, seam side down, in a prepared pan, tucking the ends under to make a neat, snug fit. Repeat with the second portion. Cover loosely with plastic and let rise until about 1 inch above the rim of each pan, about 1 hour. 5) Preheat the oven to 375F. Bake until the loaves are golden brown and pull away from the pan sides, about 40 minutes. Turn out onto racks and let cool completely. I loooove making bread! This looks so soft and YUMMY! 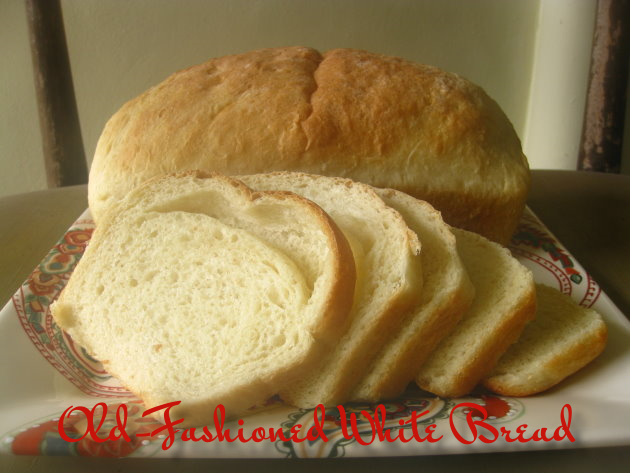 I've always had a hard time finding a really good white bread recipe, and this one was really really good! It was yummy and incredibly soft and light!